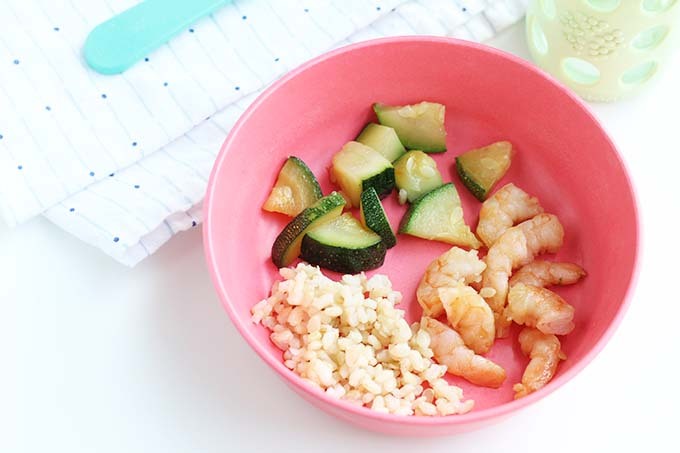 In just about 15 minutes you can serve up authentic Teriyaki Shrimp that’s healthier than any takeout—and pleases the whole family too! 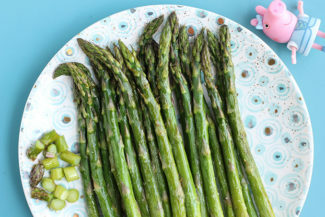 This family meal is one that I love making on a weeknight since it’s so quick and easy. 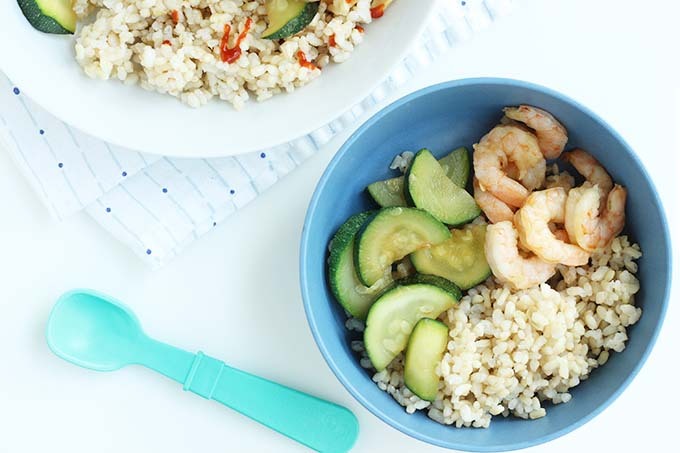 The rice can be simmering away while you get the rest of the Teriyaki Shrimp and Zucchini cooking, and there’s no major effort required to make the sauce. 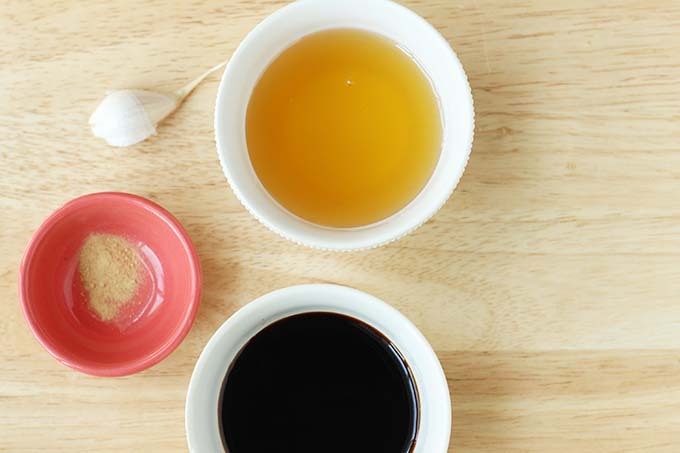 To make this simple teriyaki sauce, you’ll need honey, reduced-sodium soy sauce, garlic clove, and dried ginger. 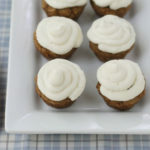 You can use fresh ginger, but dried works too! Simply stir together 1/4 cup honey and 1/4 cup soy sauce, grate in the garlic with a fine microplane, and stir in the ginger. Done! 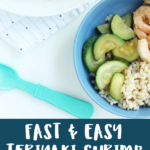 Here’s the process of making this quick teriyaki shrimp recipe. Thaw the shrimp according to the package directions if starting from frozen. Heat a medium skillet over medium heat. Add the oil to warm. Add the zucchini and toss to coat. Cook, stirring occasionally, for 6-8 minutes or until starting to soften. Add the shrimp and cook for another 2-3 minutes to warm through. Stir together the garlic, ginger powder, honey, and soy sauce in a small bowl. 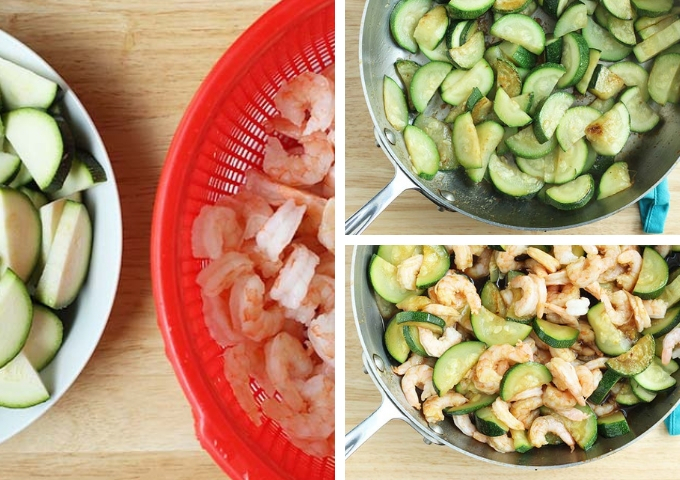 Stir into the zucchini and shrimp. 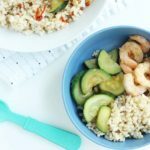 Can I use raw shrimp in this recipe? You totally can! You’ll just need to cook it for closer to 6-8 minutes or until it’s opaque and fully cooked through. 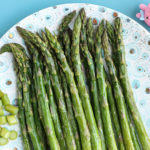 Stir together the sauce and store in an airtight container at room temperature for up to 3 days. Make the rice up to 3 days ahead and store in the fridge. Reheat before serving. 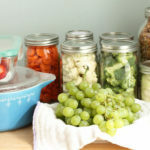 Chop the zucchini and store in an airtight container like a Mason jar and store in the fridge for up to 3 days. Can I make this into Teriyaki Chicken instead of shrimp? Absolutely! Use cut up bite-size chicken breast tenders or thighs and add to the pan instead of the shrimp. Cook for 6-8 minutes or until fully cooked through. Serve as directed. What could I serve this Shrimp Teriyaki with besides rice? If you’re not feeling rice, you can use quinoa, couscous, or rice noodles. 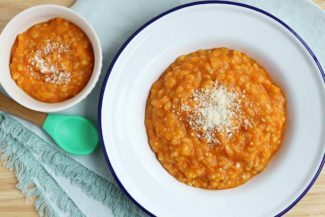 You could also use whole grain spaghetti! And P.S., we love this topped with crushed peanuts and a squeeze of lime juice. And some of our family members enjoy this with hot sauce! 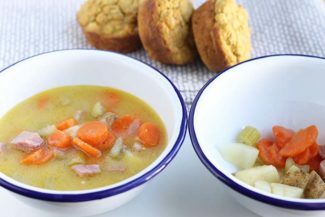 I’d love to hear your feedback if you try this recipe with your family so please comment below. 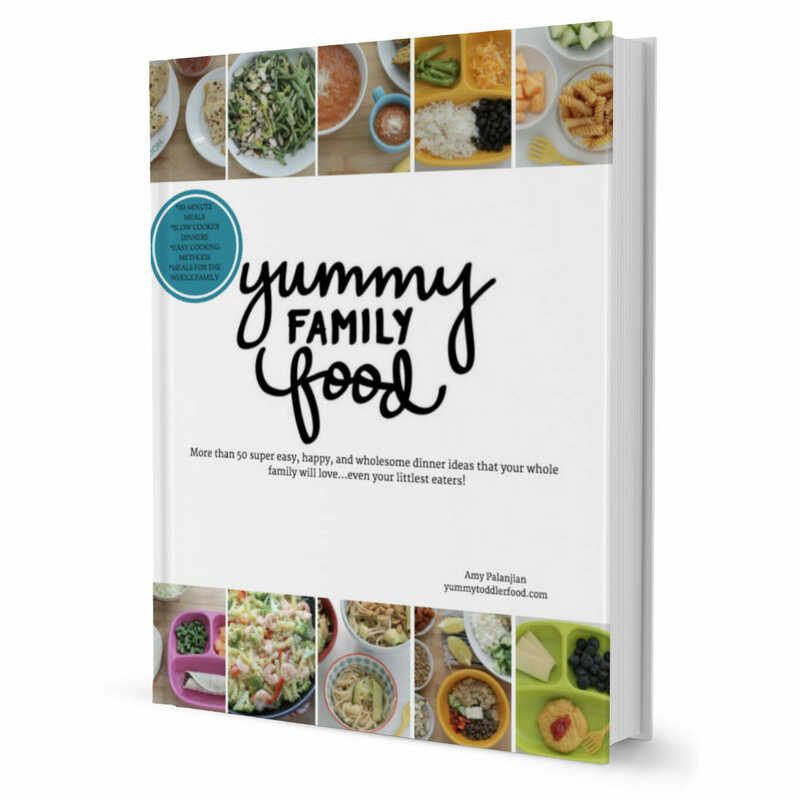 We like this with rice or rice noodles, but you can adjust how you serve it to fit your family! Thaw the shrimp according to the package directions. Top with chopped peanuts, a squeeze of fresh lime, and/or hot sauce (for adults!) as desired.